I'm a firm believer that everyone should dress appropriately for their body type. One bridesmaid may feel comfortable in a strapless chiffon dress while another may feel more comfortable with a more modest sleeveless dress. I'm a big fan of mismatched bridesmaid dresses whether they are all different colors or varying shades from the same color family. 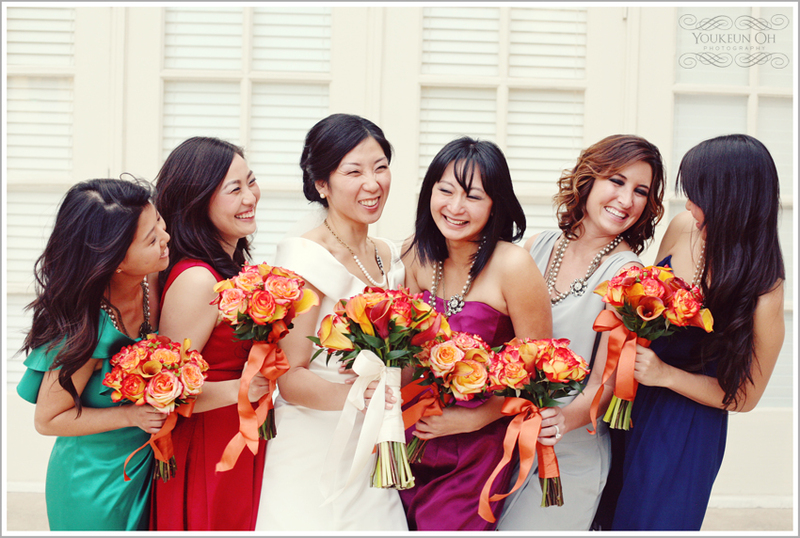 I pulled photos from our previous weddings with beautiful mismatched bridesmaids dresses. Hope you enjoy!